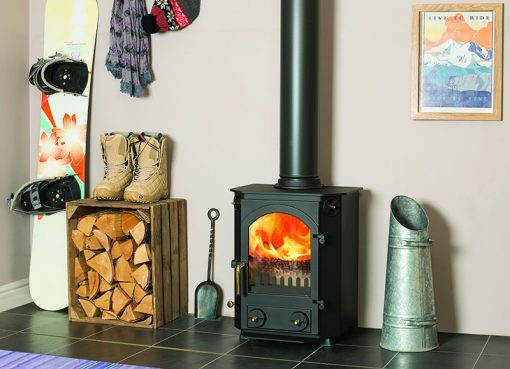 The Farndale is a robust stove, compact but with a deceptively roomy firebox, and an output of 5kW. There is a strong cast iron door, and the fire is kept safe behind a large glass area. 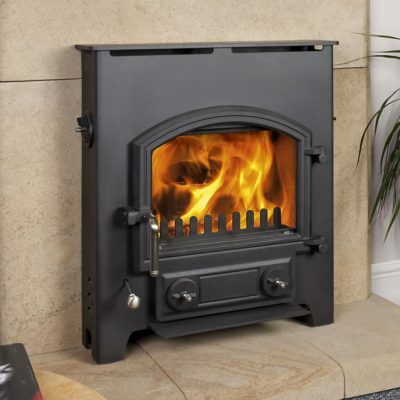 There is a multi-fuel grate which riddles from the outside, and like all Town and Country clean burning stoves, there is a good sized ash pan to make ash removal easy. Note: There is a heat shield supplied with this free standing stove which fits on the back panel. 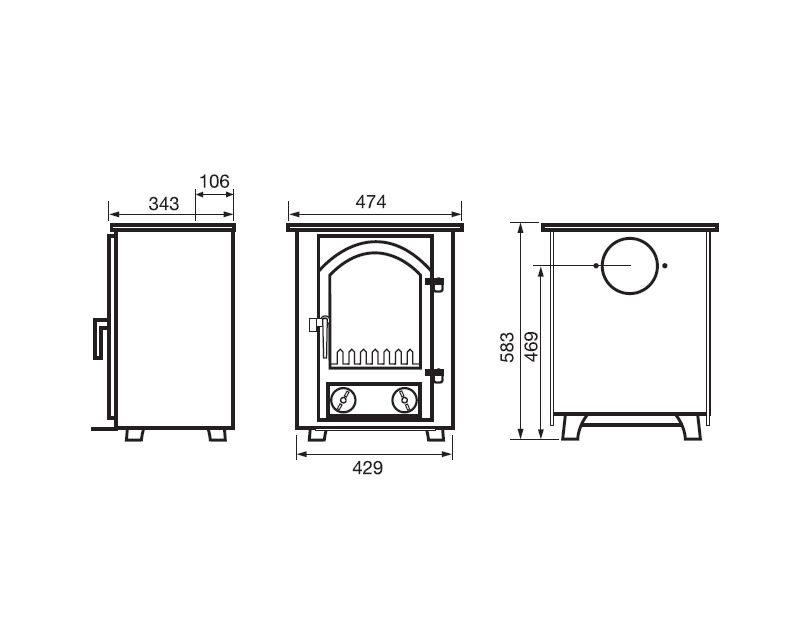 If this is fitted, allow an additional 30mm to the depth shown on the diagram. 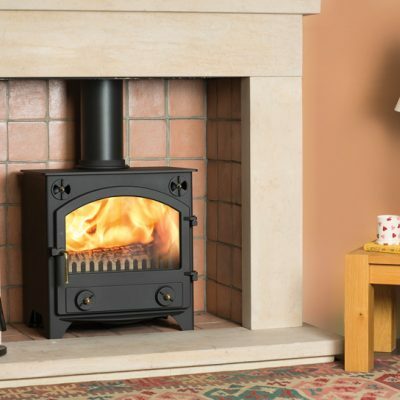 Like all of our stoves, the Farndale is available in black as standard, with a large selection of colours available at a small extra charge. The special paint we use is extremely resistant to high temperatures. 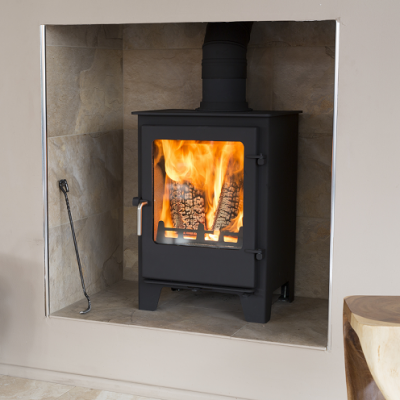 Town and Country Fires based in Pickering, North Yorkshire develop and manufacture some of the best, energy efficient, solid fuel and wood burning stoves in the world.